Between 1999 and 2009 Lightsabre.co.uk brought news, fanfic, podcasts and much, much more to the masses. Our sixty-seventh guest authored Star Wars: The Essential Guide to Characters – Andy Mangels. Lightsabre – Andy, welcome to Lightsabre. AM – Thanks for having me here. Nice site! Lightsabre – Tell us something of your career. How did you begin as a writer, what were your major influences as a writer as you grew up and how did you end up taking this career path? AM – Growing up, I had an inordinate interest in reading comic books and books on fantasy, science fiction, horror, and Hollywood. I also collected and categorized things, ranging from lists of super-heroes and their identities, to lists of Star Wars characters and toys. My parents expected me to either be a librarian or a museum curator. In my teens, I actually intended to work in the comic book industry as an artist. I started college at sixteen (a few years earlier than most) and got an Associate Arts degree specializing in graphic design. But I was also taking a lot of writing and English courses, and psychology courses. In 1985, I sold some writing to Fantagraphics for a book called Focus on George Pérez, based on the man who was my favorite comic artist. I soon began writing for their magazine, Amazing Heroes. At that time, I was growing dissatisfied with my art, and enjoying writing more. At the end of my third year of college, I quit, and shortly thereafter, left my job at a comic book store and began writing full time for a living. I later wrote everything from Nightmare on Elm Street and Child’s Play to Elfquest and Justice League. It was my work for Topps that got me my job writing for Star Wars. I had heard they were doing a new Star Wars magazine, and I called my editor and begged him to let me write something for it. 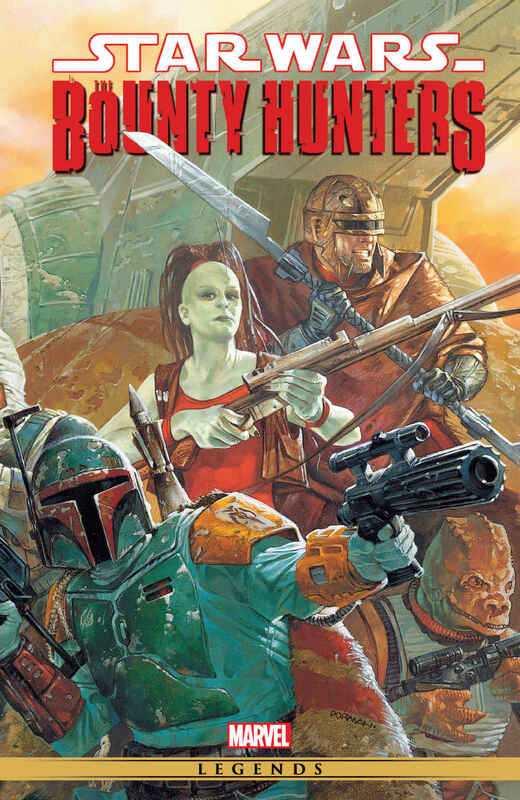 I did an article for their first issue on “Everything You Always Wanted To Know About Boba Fett.” When I turned it in for approval, the editor got a call from Lucy Wilson at Lucasfilm, who was looking for a writer to do their new encyclopedia of characters. Within hours later that day, I had my first book contract! That was in 1995, and I’ve done over 15 books since, and am still going. My book work ranges from non-fiction — such as books about The X-Files, screenwriter Kevin Williamson, Animation on DVD, or an upcoming tome about Wonder Woman — to fiction, such as multiple Star Trek and Roswell novels, co-written with Michael A. Martin. Now in my 21st year as a writer, I’ve done books, comics, trading cards, magazine and newspaper articles, toy packaging, DVD packaging, and more. I’ve recently written and directed over thirty DVD documentaries, and consulted on various DVD projects. It’s been a wild ride! Lightsabre – As well as the Essential Guide to Characters, which ended with its best-selling run in its 9th printing (as well as printings in many countries including Russia), you’ve contributed to many Star Wars titles including the late, great Galaxy Collector. What is it about Star Wars that intrigues you? AM – You forgot the packaging copy I wrote for Kenner, Applause, Don Post, Screamin’ Models, Hamilton Plates, Illusive Originals, and Taco Bell, the trading card sets Topps and Metallic Impressions, the full-cast audio drama for Bantam, and lots more! I did a lot of stuff that never had my name on it! I was at just the right age when Star Wars came out: Ten. It captured my imagination and my heart in the way that only super-heroes had at the time. Knowing that there were further adventures in store for these characters, I could dream up my own, playing with the toys and so forth. The original trilogy had tremendously engrossing characters and themes. They were familiar, as they were distilled from generations of heroic and villainous archetypes and stories and films filtered through George Lucas’ past, but that familiarity helped propel them past any plot holes. And the visual aspect of Star Wars, from the ships and droids and “used” look of that end of the galaxy was such a revelation in science fiction entertainment. My favorite character from the series was Boba Fett, who was morally ambiguous and very mysterious. I never thought of him as a villain, although he was someone who did bad things sometimes. But his mystery enabled people to project all sorts of stories onto him. 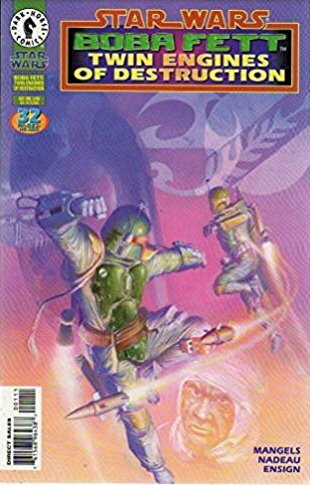 I had a fantastic time writing Boba Fett: Twin Engines of Destruction, which was voted in 1988 by 200,000 fans as the “Best Individual Star Wars Comic” ever done! I own one of the life-size Boba Fetts, and have the Mandalorian skull tattooed in red on my shoulder! Lightsabre – In your opinion, what makes for a good book? 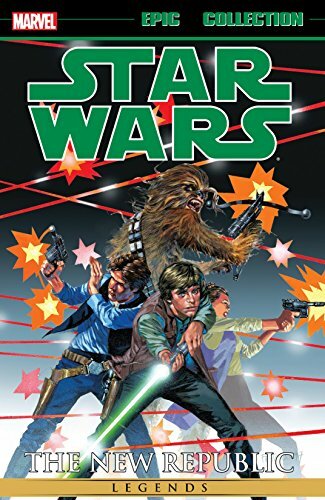 AM – Some of my favorite Star Wars books were Kevin Anderson’s novels. I think he did an excellent job of staying true to the characters and mythology while introducing new concepts and new stories. And they were incredibly cinematic. You could easily visualize what he was writing about. Certain other writers had a tendency to be very unclear about things as basic as “What planet are we on in this chapter?” or “What does this character look like?” or even “Who is speaking?” I never had that problem with any of Kevin’s books. They were always cleanly written and exciting. After Lucasfilm and I parted ways, I stopped reading Star Wars mostly, though I did read some of the Yuuzhon Vong books. But I lost interest when that dragged on for far too long, and have not read anything since. 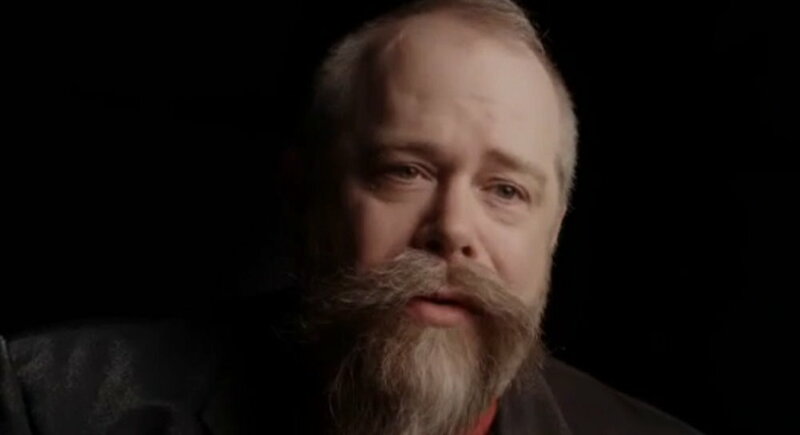 Lightsabre – You often work with co-writer Michael A Martin, such as with your Star Trek or Roswell novels and comics. How does that writing relationship work? Who does first draft, rewrites and such? AM – Mike and I co-plot the book together, then a very specific and often long outline is sent in for approval or changes. It’s then divided up into chapters, and we choose which chapters we want to write. We write our chapters, then give them to each other to go over. We make changes or suggest alterations to each others’ chapters, and check the continuity. Because we plot it so tightly, we rarely have continuity problems, though some come up. The edited and re-written chapters are then compiled together for one last look-over, before being sent in to the editor and licensor. From there, they may or may not have some changes we need to make. Our writing styles are similar enough that it’s almost impossible to remember later who wrote what, and fans have rarely been able to correctly identify which of us wrote which chapters. We produce a good synthesis of our styles to create a cohesive and exciting book! Lightsabre – Your works are, in large part, franchise-based. Given that, do you sometimes feel that sometimes there are restrictions on your creativity? Considering the vastness of the Star Wars galaxy, are you subject to the same limitations when writing a novel for it? AM – Well, I never wrote fiction in the Star Wars universe, except the comic book material (and an unpublished gaming story). But writing the entries for the Guide to Characters was an interesting type of “non-fiction fiction.” I had to create cohesive histories for the characters from all the existing elements. Sometimes that mean bridging “known” material and creating elements of new fictional history. I personally love continuity and the kind of “created history” in franchises such as Star Wars or Star Trek. I don’t find it stifling or restrictive at all. There are times when I may not get to do a story I want, or take a character in certain directions, but I am getting to play in some big sandboxes with some big characters. As an example, when I did Boba Fett: Twin Engines, I got to show Fett without his armor and helmet. I got to establish that he was a male human who was really scarred up. This was during a time when there was a lot of debate over whether he was an alien, or even a woman! That may not sound like a big accomplishment in the grand scheme of the world, but in Star Wars fandom, that story and revelation were seismic! Lightsabre – You appeared in Comic Book: The Movie as a gay fan haranguing Peter David. 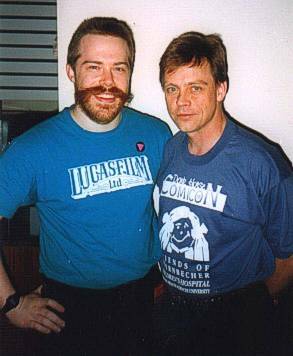 Firstly, how much fun was it to work with the director, Luke Skywalker himself Mark Hamill and second, how much fun was it giving fellow Trek writer Peter David a hard time? AM – Mark is a great guy. I first met him around the time I did the Star Wars book, I think. He’s a big comic book and animation fan, and we share some other interests. He wrote the forward to my book, Animation on DVD: The Ultimate Guide. When he was filming Comic Book: The Movie in San Diego, he asked if I wanted to make a cameo appearance as a fan in Peter David’s line. What you saw there was totally improvised, with my question about the gay elements of the super-hero, and Peter’s reaction. The crew was cracking up, and told me they were sure the scene would be used. I later learned the editor had wanted a scene exactly like that, and there my scene was. Peter’s an enjoyable and talented writer, and certainly one who gets a lot of work. I’m jealous of many of the projects he gets to work on. On the other hand, he wanted to write the Dragon’s Lair comic and I got to do it instead, so I guess we all get our wishes sometimes. Lightsabre – Do you have any new Star Wars projects lined up? AM – Unfortunately, no. 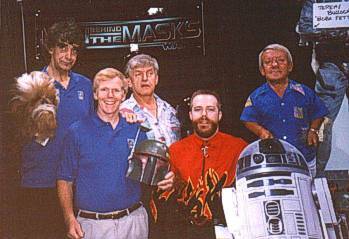 I had a falling out with certain people at Lucasfilm and Kenner around the time of Shadows of the Empire. For a while, I was actually blacklisted from working on anything I had not already been contracted for. That blacklist was eventually lifted with a memo to all licensees, but some “perceived negativity” still remained connected to me, and I was never rehired by anyone. At this point, only two people I ever worked with are still there to my knowledge, so I don’t know how I’d fare there. I know there’s a perception among writers that they only want to work with “new, hungry” talent who they can control more easily. As an “old-timer,” I might be out of that loop. Lightsabre – Your most prolific franchise works are in the Star Trek universe. 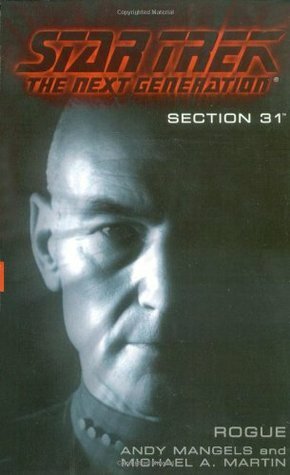 Star Trek: Titan is a particularly thrilling and interesting series, continuing from the end of Star Trek: Nemesis. How excited were you to take on this series of novels and how far down the road are you looking in terms of story and character development? AM – Working on Star Trek for the last decade has been extremely pleasant. Our relationship with Pocket Books, Paramount, and other licensees we’ve worked for is top-notch. And our books are some of the best-selling in the line! Titan: Taking Wing was the best-selling Star Trek book of 2005, and recently voted in a big online poll as the top choice for a comic book series by an overwhelming majority. Creating Titan, and its ultra-diverse crew, was a lot of fun. We could push out in new directions, without having to worry about film or TV continuity… or budgets. We could have fantastic aliens or space battles that would cost billions to film; we were encouraged to think outside the box. In writing the first two Titan books, we got to set up a lot of plots and characters. We didn’t write book 3 or the upcoming book 4, but who knows if we’ll come back to it after that? We think a Titan comic series would be spectacular too, especially as it ties in to not only the future of Star Trek, but the Next Generation crew as well. Fans should write IDW to request that if they’re interested. Meanwhile, we are now writing our second Sulu/Excelsior novel, our second Enterprise novel, The Good That Men Do, is about to be released, and we’re waiting for contracts on another Trek novel that will blow people out of the water. By the way, Enterprise: The Good That Men Do takes the horrible TV finale and twists it like a pretzel, creating a relaunching point for that series that will have fans jumping with excitement. Lightsabre – You are a prominent voice in the gay community, and wrote and edited for the award winning Gay Comics. How important do you feel it is for the gay community to have a voice in the media, and in comics specifically? AM – Since 1988 when I came out to the industry, I have been a prominent voice for the inclusion of gay characters in comics, and the awareness of gay and lesbian and bisexual and transgendered creators in the industry. Since then, I edited 13 issues of Gay Comics (which won a British award for Best Anthology), co-founded the largest gay APA (Amateur Publishing Association, a pre-internet form of published interactive fandom), published the Out In Comics booklet, and was a founding member of PRISM Comics. For the last twenty years, I’ve also produced the “Gays In Comics” panel every year at San Diego Comic-Con International. Both in my comic book work and in my novel work, I have actively tried to showcase diversity — including sexual minorities — for two decades. I’ve also been one of the few openly gay creators in either the Star Wars or Star Trek universes. On Star Wars, I don’t know of anyone else who’s out, and on Trek, there’s only George Takei who recently came out, and Susan Wright, a fellow author, who is a bisexual activist. That’s not very much representation for a field of professionals that numbers in the hundreds. But I feel it is important that fans know there is somebody who’s not afraid to talk about who and what they are on a matter that has profound social and political implications. Lightsabre – In Star Trek: Titan you have managed to break one of the last taboos in Trek with the introduction of two gay characters. While it was hinted at with Lieutenant Hawk, and shown with Jadzia Dax, how pleased are you to have finally succeeded where others have failed? AM – Actually, we broke the barrier in our first Star Trek book, The Next Generation – Section 31: Rogue, wherein we revealed that Hawk was gay and had a lover named Ranul Keru. Keru is now a central character in the Titan books, and has appeared in other writers’ books. Although literally a few paragraphs with gay content by other authors had predated our story, we were the first to really break that taboo open widely. According to many inside sources, producer Rick Berman was the cause of the lack of gay people on the Star Trek TV series. For Mike and I to be able to feature gay characters in not one, but two best-selling Trek books is a great source of pride. Berman may reportedly choose to turn a blind eye to a large portion of the world’s population, but that doesn’t mean everyone has to. And thankfully, Paramount licensing has agreed with the side of diversity rather than Berman’s side of exclusionary tactics. I should also point out that the books I write (and Mike – a straight father of two — with me) all feature immense diversity. I’ve written characters of varying religious beliefs, of various ethnic and cultural backgrounds, of many different abilities and disabilities, and of multiple political persuasions. I feel it’s incumbent on the writer to present a broad range of diverse characters and characterizations in books that take place in a place as wide-ranging at the Star Trek universe or Star Wars galaxy. Lightsabre – Now that it is complete, what are your thoughts on the Star Wars prequels? AM – I prefer not to comment much on the prequels, other than to say that there were moments and characters that I enjoyed, and many of the visuals were excellent. As with millions of other people, I had enormous expectations as to what I wanted the prequels to be. George Lucas and his employees had the daunting task to face those expectations from everyone; whether they lived up to them is up to each person to decide for themselves. Lightsabre – Any thoughts on Lightsabre? AM – It seems like a fun site, and is well organized. I don’t read much fan fiction (we’re contractually not allowed to on Star Trek), but I liked your series of interviews, and there is some great art! Lightsabre – It’s been a great interview, and thanks for being our guest on Lightsabre. Just one final question. Will Riker and his bridge crew, Han Solo and his smuggler friends and the Justice League are playing a round robin softball tournament. Which team wins? AM – Will Riker and his crew would start out strong, but Will would get winded due to extra poundage he’s packed on. Tuvok and Keru would try to pick up the slack, but the Horta, Ferengi, and giant spider-like crewmember wouldn’t be much help. Then, some of Han’s Corellian pals would try to steal the ball while he alternated between flirting with Deanna Troi and Wonder Woman (he has a thing for brunettes). Superman would be unharmed when the smuggler/pitcher threw a thermal detonator instead of a ball, and Flash would round all the bases before the explosion subsided. The Justice League would win easily, whereupon Han and Will would get rolling drunk and tell outrageous stories at an outer space Bennagin’s. Meanwhile, remember “Infinite Diversity and Infinite Combinations” and “May The Force Be With You” are two excellent mottos to live by! This interview was originally posted on lightsabre.co.uk on 22nd April 2007.